If you’re selling on the Net, then you just HAVE to build a list. Because if you do, you can contact your prospects over and over again instead of the 1 shot approach on your website. The list that you build is your reward for all your time and efforts to get your prospects to your site. …they just don’t know how to do that or where to start or how to easily grow a list in a short period of time. Bryan Super has a solution for that. He writes about it in today’s guest post. If you are thinking of building an email list then your best bet is to use what are called ad swaps. Ad swaps are when you and another marketer agree to send out an email to each others lists. Basically you will send an email to your list promoting their website or offer and vice versa. Now, the problem is how to build a list, right? Before we get too far along, you’ll need a squeeze page and an autoresponder if you really want to succeed with list building and email marketing. Squeeze pages are pretty simple to set up and if you do a Google search for “free squeeze page” you can likely get one, copy the code and use it as your own. Then you need an autoresponder. 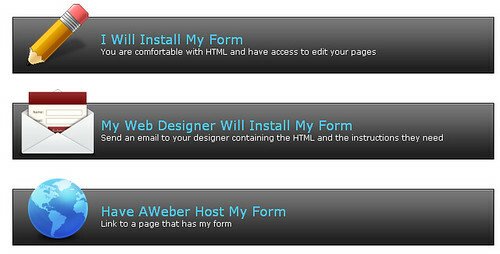 I use Getresponse.com and many of my fellow marketers use Aweber.com. Both are great in my opinion. Ok, now that we have a squeeze page and autoresponder we need a bribe in the form of a free report or something of value to give away. This can be a PDF document or even a video. This is what you will give visitors in exchange for opting in to your list. Here are my favorite 2 ways to go about building a new list. 1. Buy a solo ad from someone who already has a list in your niche. 2. Write articles and make posts in forums related to your niche. The first option is very easy. You find someone with a large list in your niche and ask them if you can pay them to send an email to their list promoting your squeeze page. Most often you can strike a deal with someone and start getting instant visitors to your squeeze page. I use warrior forum all the time to find solo ads. If you can find someone to send you 500 clicks to your site you should have no problem getting 250 subscribers onto your new list. Then you can start doing ad swaps. Again, check out warrior forum and look at the Joint Ventures section. There are hundreds if not thousands of people doing ad swaps these days. The second option to build a list takes more time, however you will have traffic sources coming in and backlinks to your squeeze page. I’ve used both ways and if you have time I really like option 2. It takes a bit longer but it works too. First you need to find keywords that people search for on the search engines. You mainly want to find low competition keywords. So, not something like make money online. That would be way to hard to target. If your niche is making money online maybe you could use something like “best internet marketing home business”. As you can see that is a longer keyword and your article will have a better chance of ranking in Google for the term. Find at least 30 of these types of keywords using the Google Keyword tool. Make sure the keywords you choose are actually searched for by people each month. Write or outsource 30 articles. You can write them yourself or use elance.com or again, the Warrior forum. I did this in the gaming niche about 2 years ago and I still get around 20 opt ins per day doing absolutely nothing because I have 30 articles each getting several visitors each day because I used low competition keywords. You can do this too, all you need to do is take action! It is sad but many people try to complicate things and they don’t need to be. There really is no “secret” to making money online. If I were to say I have a secret, it is that I got down to work and actually DID something. Also keep in mind that you WILL learn from your mistakes. So far Bryan’s guest post. What about you? Do you build a list? Hmmm, interesting idea, this users can generate high traffic in short time. I must test your proposition on users of my blog and forum. Thanks.